This week was probably my favorite week. I’ve enjoyed this course and learned a lot from CPSC106. This week was our final week. We completed our final project and other projects. Everything went smoothly thankfully. The only difficulty I had was trying to think of what I should do for my Tutorial. I feel that I have done well on my assignments this week. I’ve worked on my assignments all week and had good time-management. I wouldn’t do anything differently this week and I don’t have any questions. Have a great rest of the summer! I’ll miss the fun assignments from this course. I even did a Daily Create for fun! Tommy, Courtney, and Amanda commented on my blog and I replied to their comments. Tommy Fairbank’s blog post Tutorial #2 High Real. Courtney Rodenbough’s blog post Tutorial for decorate the UMW spirit rock. Amanda Peregory’s blog post Create an Assignment #2. I’ve enjoyed commenting and looking at other student’s blogs. Some are really good and some projects are very well done. It’s also exciting having other students comment on my blog. I’ve had fun in this class and I’ll definitely miss it! Once upon a time there was a little dinosaur named Swarley. One day when he was going for a walk in the woods with his parents, he suddenly fell down a hill while his parents weren’t looking! Swarley got knocked unconscious. His parents searched and yelled for him but poor Swarley couldn’t answer. When Swarley finally woke-up, it was night time. He was too scared to yell because he was alone and scared of the dark. Instead, he took out his camcorder and started videotaping his surroundings for a while. While Swarley was videotaping, he searched for his parents. He looked high and low for his mom Rosie and dad Frankie. He searched throughout the night and into the following day. Swarley finally took a break next to a river and sat down. He then remembered that he had a picture collage of himself and his family in his bag. He took it out and started crying because he missed his parents so much. He put the picture back into his bag and decided to go for a swim in the river. All of a sudden rain clouds started to roll in. Swarley got his bag and went to find shelter in a nearby cave. He took out his pen and paper and decided to write a poem to keep his mind off things. But the poem didn’t help, so Swarley went to bed shivering. The next day, he woke up to the sound of music! Swarley got so excited that he jumped up and started running towards the sound. He eventually came across a Tyrannosaurus Rex (T-Rex) hangout. They were listening to a radio, talking, and eating the latest kill. Then suddenly, there was a radio interruption! Swarley cried out “That’s my parents!” The fellow dinosaurs then called the parents and took care of little Swarley. They fed him and listened to his story of being separated from his parents. Swarley’s parents came as soon as they could and ran on over. They embraced him and thanked the fellow dinosaurs for their help. All was finally well. Unfortunately, a week later a huge meteor hit and killed all the dinosaurs on Earth. The End. This video is of Swarley’s late night walk on his first night separated from his parents. I made this one night walking around my apartment. I recorded a few videos on my phone then uploaded it onto my computer using a cable. Next I used Window’s Movie Maker to compile all the videos and add an intro and credit section. I saved it then uploaded it onto YouTube. It was fun making this video, the only hard part was trying not to get any street lights or apartment lights in the picture. When Swarley was listening to the radio, he heard this Missing Report broadcast from his parents Rosie and Frankie. He became very excited when he heard that his parents were looking for him. I recorded this on my phone’s Voice Recorder app. The voices were of my fiance and I. I then downloaded it onto my computer through a cable. It was very easy to download and we recorded it first try! I then uploaded it onto SoundCloud. I wrote a script before hand to help us stay on track. I think this “radio interruption” is perfect for my character story. Swarley the Dinosaur has been feeling down lately without the comfort of his parents. He hopes to find them soon, but in the meantime, he wrote this Haiku poem expressing how he has been feeling and what he has been going through during the search for his parents. I used the Paint application on my computer to create this picture and add the color around the poem. 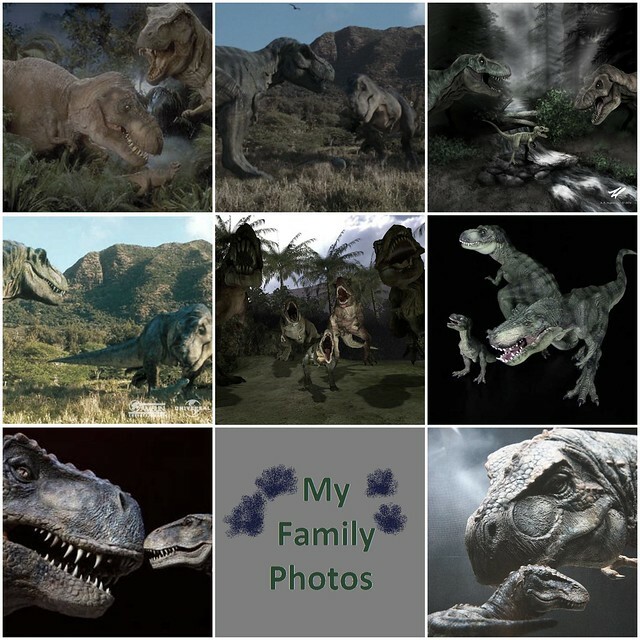 For my character Swarley the Dinosaur, I have compiled a collage of his family photos for my Visual Design. Swarley the Dinosaur needs this collage to help comfort himself. He got lost and now he is on an adventure to find them! Using a collage maker online called BeFunky, I was able to put together some photos of Swarley and his family. Hopefully Swarley can use this to show fellow animals or dinosaurs and ask if they have seen his parents. Copy the highlighted URL on your screen. Your picture should have automatically shown up! Congrats, you now know how to insert a Flickr photo into your blog. Hint: omit any part of the URL that has “in/photostream”. Then it will upload onto your blog post! Congrats, you now know two different ways to insert a Flickr photo into your blog! I love writing Haiku poems so this was fun and semi easy for me. I hope people will enjoy my assignment! You can look at my assignment through this link. It isn’t showing my picture of my poem on my assignment link currently for some reason. “The what-if machine prompts! 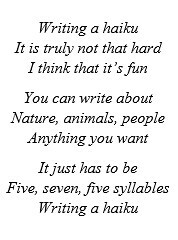 Use the what-if machine to write a DS106 world story.” I went to the website and formed the following “what-if” sentence for Disney! It was fun and very easy to create. Hello everyone! I’m here to help show you how to change the color tint on the application Paint. The Paint application icon should look like the following picture for those of you who are not familiar. Open the Paint application and it should look like the following picture. Click on that and a small window should appear. On the right, there is a vertical column with an arrow at the bottom. Since that arrow starts off on the bottom of the color column, it will be the color’s darkest form (hence the “Color|Solid” box). In order to change the color tint, you move the arrow to the desired color tint then click the OK button. Once you’ve clicked OK, you will be able to use your color. You can see your color at the top tool bar. Congratulations! You now know how to change the tint of any color you want on Paint. Have fun creating!